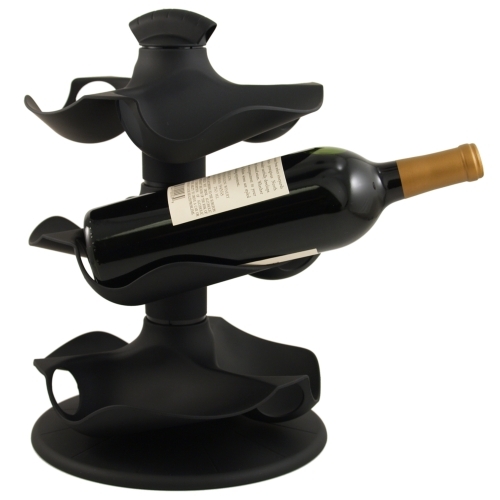 This sleek black rotating rack features 3 tiers and holds up to 9 bottles of your favorite wine. The flowing design holds all styles of wine bottles securely and rotates for easy access, making this wine rack stylish and functional. Soft Base pads protect from scratch or skid. Beautiful addition to any home or bar.